Many organizations use Adobe Captivate for making creative eLearning content, revitalizing traditional and somewhat passive, slide-based courses with video and other dynamic media. We know video learning is more memorable because it engages multiple senses, sight and sound, yet, it’s still a largely passive experience. What if we could integrate another sense? Touch, perhaps? It’s possible. Paired with the responsive design and mobile capabilities of Adobe Captivate, HapYak’s interactive videos keep students in an active learning state (and provide engagement metrics for instructors). Imagine learners selecting and clicking on video hotspots, determining their pace and depth through a series of interactive video branching choices. The possibilities are endless! Luckily, HapYak and Adobe Captivate work together easily, making interactive video course creation a breeze. We’ll guide you through the simple, four-step process; see how easy it is to make any video interactive in eLearning. 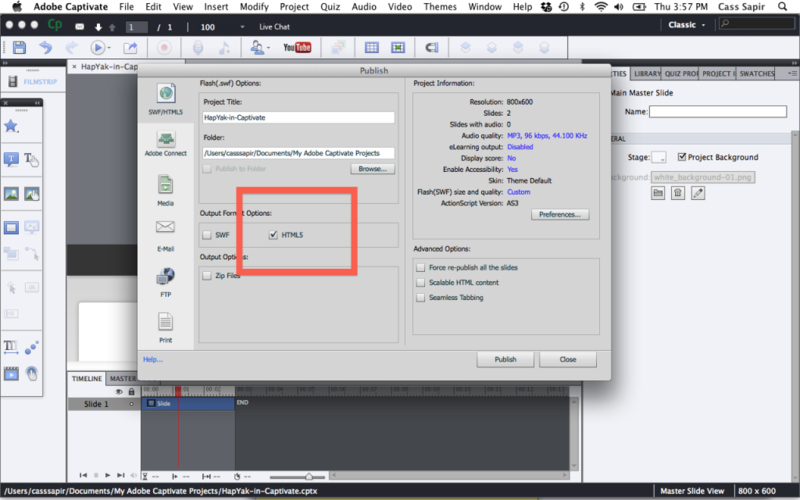 How to add Interactive Video to Adobe Captivate. In HapYak, go to your project and copy the “view landing page” link. 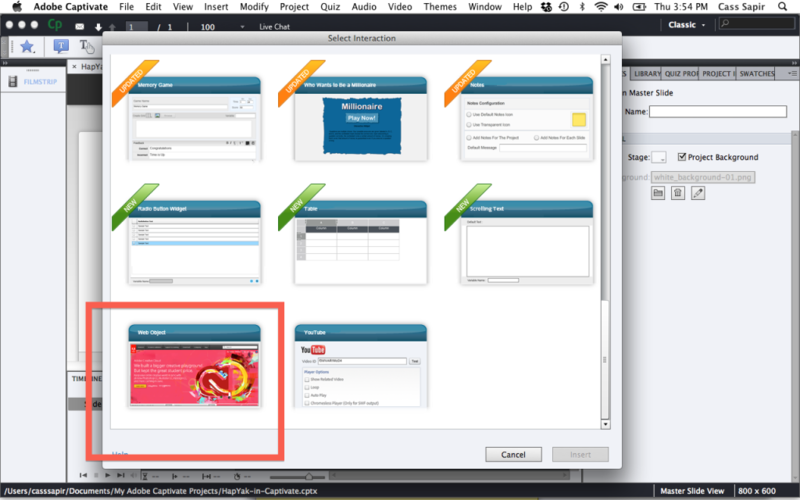 In Adobe Captivate, select “Insert Interaction”. Select the “Web Object interaction type”. Paste the landing page link into the Address field. 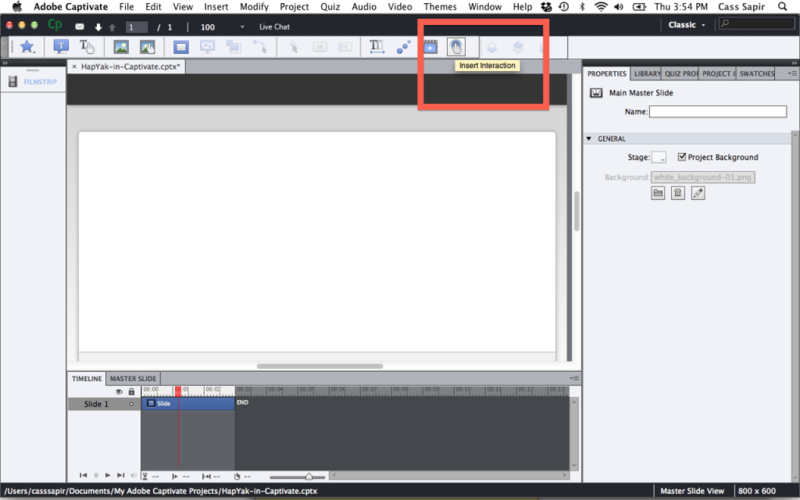 Preview or Publish the Captivate online course by selecting HTML5 Output. That’s it! You’ve published interactive videos to your Adobe Captivate course. Is the video cropped? 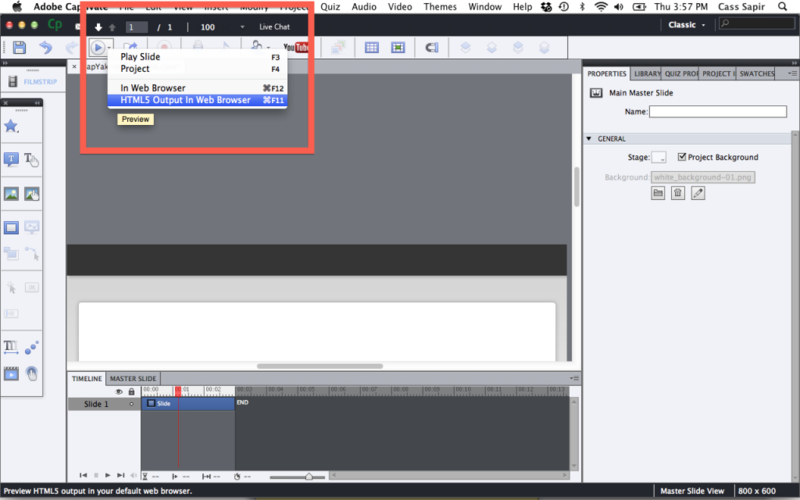 Resize the Web Object interaction window to your preferred width and height. Get stuck sharing content between HapYak and Captivate? Captivate may paste the landing page link twice (it’s a known issue in their system). If this happens, simply remove the duplicate. Can’t publish to HTML5? To work around this, you will need to add “?user=guest” to the end of the landing page link. For example a URL string, https://hapyak.com/portal/viewer/71ec0ca6482a8daad98f1ed53158b9fe would now be https://hapyak.com/portal/viewer/71ec0ca6482a8daad98f1ed53158b9fe?user=guest. You’re done! If you have any questions, Contact Us. Remember, immersive, interactive eLearning is valuable to students because they control their experience. Students can learn at their own pace, skipping ahead through chapters or diving into challenging concepts with a PDF download of supplemental material. There’s no impatience and boredom, or fear of being “left behind,” because the student is building their own personalized context or ideal conditions for learning- that’s pretty powerful! Want to see how interactive, in-video questionnaires compare to traditional quizzing methods? This blog was published by Cass Sapir on January 28th, 2015. It has been updated with additional content.